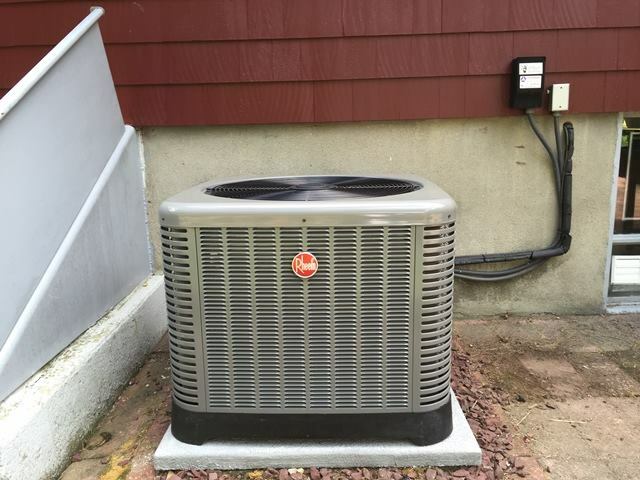 At Affordable Heat and Air we understand the unique climatic challenges that the city of Tewksbury presents and how important a suitable HVAC service can be. Not only is the high humidity a health risk, it can also cause structural damage to any building. A quick call will give our sales team the opportunity to provide you with an AC solution that will meet your needs. With over 28 years of experience in AC installation, maintenance and repair, we are the leading experts in Tewksbury, MA. Affordable Heat and Air have been providing top products from leading manufacturers (such as Carrier, Trane, Rheem, Lenox and other big brands) since 2005. In the past few years, the company has been astonished at the leaps and bounds that have been made in technological advancements offering greater efficiency and better comfort. The latest filtration systems can remove an amazing 99% of pollutants and contaminants from the air. Humidity control features prevent the growth of mold while boosting the cooling ability of the unit. Due to our long history in the industry, we provide AC units that we trust to take into account Tewksbury’s climatic conditions. Each air conditioning unit that we offer is designed to stand up to the elements while meeting the desired demands for cooling. We use every ounce of experience that we have gained over the past decades to provide you with a fair and honest assessment to offer you a range of options to meet your requirements. As a leading AC service provider in the area, we have established relationships with suppliers giving us the opportunity to pass on discounts and special offers to our customers. Energy Star products provide us with another way to pass on savings to you. We also provide different options for financing or approved credit on the purchase and/or installation of new units. It may be time to consider upgrading your current cooling system so speak to one of our team members and they will give you a comparison on the savings in power and other costs as well as the additional cooling comfort that you can experience in your home or business. As an EPA-certified heating and cooling service and due to the multitude of installations, maintenance and repairs we have performed in the area over the years, Affordable Heat & Air knows exactly how important sizing can be to effective and efficient cooling. One size does not fit all and in order to get the greatest performance from and AC unit, area and size must be taken into consideration. In addition, replacing an existing unit will mean that factors such as renovations and remodeling will be taken into account and you may end up with an entirely different unit. Correct installation is another factor that is of prime importance. DIY options are not recommended and installation should rather be left to the expertise of the pros. This is because many issues can occur due to improper installation such as gaps that could result in lower energy and cooling efficiency. We are proud to boast a fleet of HCAC repair vehicles that are ready and waiting to answer your call for repairing a breakdown or simply to provide regular maintenance. Your cooling and heating comfort is our priority and each member of our team will go the extra mile to provide you with a quality service that you deserve as a valued customer. Invest in a HVAC system that will provide for your needs over the long run and schedule an appointment with Affordable Heat & Air in Tewksbury today.